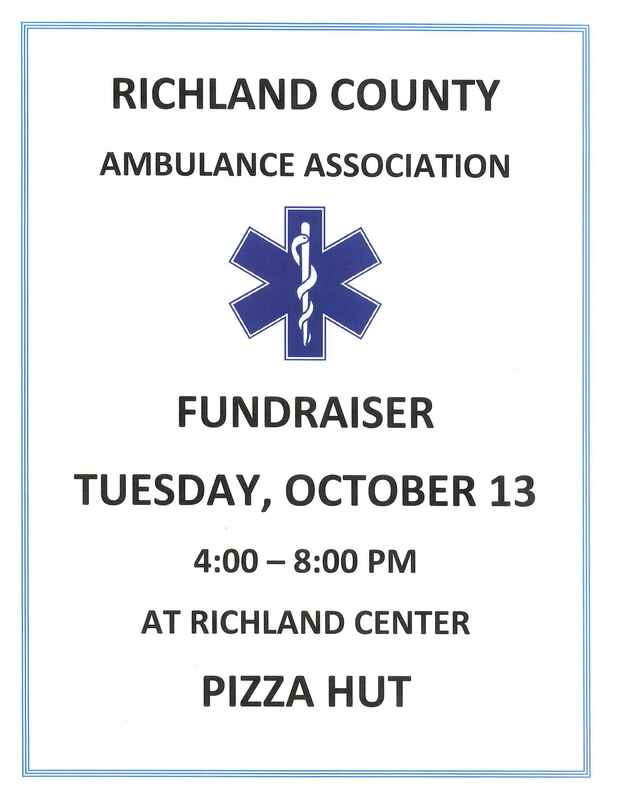 The Richland County Ambulance would like to invite members of the community to their Open House Fundraiser on Saturday, May 21st, from 10am until 2pm on Haseltine St., next to the Richland County Courthouse. There will be a brat stand with grass-fed all-beef hotdogs, MacroBars, and more! All money raised will be used to purchase new equipment upgrades and for community involvement projects. In addition to the brat stand, there will also be several information and activity stations to learn more about emergency situations and how community members can help EMS help them. In addition to blood pressure checks and information about common medical emergencies, there will also be a table with information from the Aging & Disability Resource Center as well as a representative from Richland Hospital’s Emergency Department! Visitors who stop at two of the information and activity stations will be entered into a raffle for prizes such as a well-stocked first aid kit and a beautiful canvas print. You can also enter your workplace, club, or group into a drawing for a free CPR class! 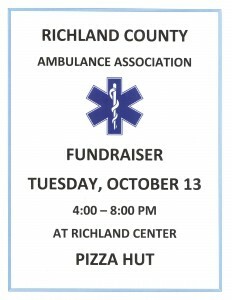 The Richland County Ambulance always appreciates the ability to interact with and educate our community about EMS and how they can take charge of their health so they might only have to see an ambulance at fun events such as this! Please come out to help support ems. All funds raised will be used to upgrade the cardiac monitors.